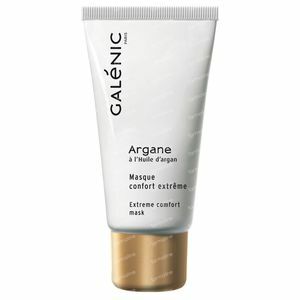 Galénic Argane Nutri-Intens Mask 50 ml order online. 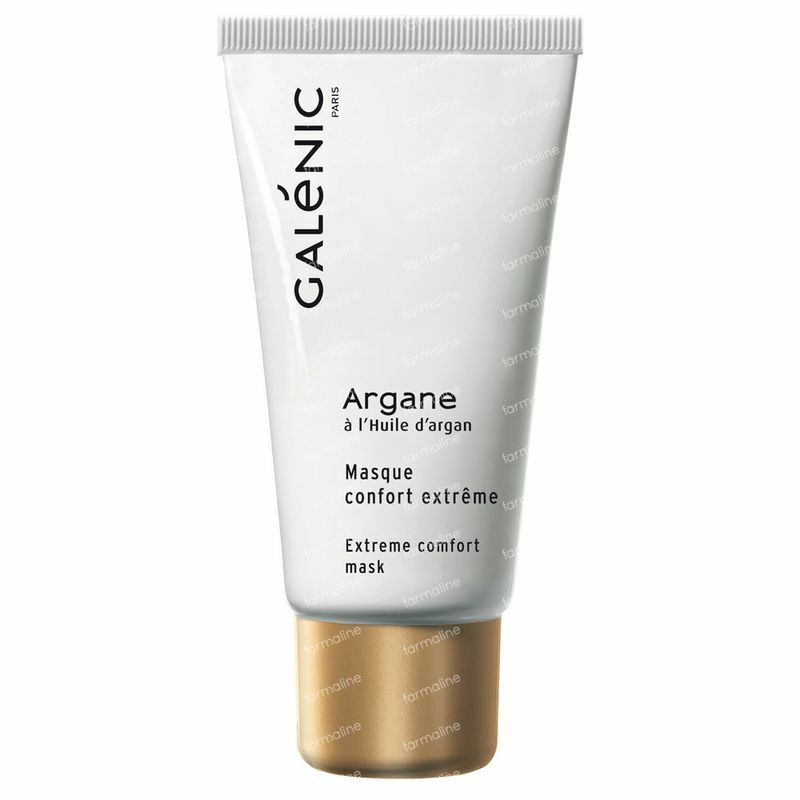 Soft and luxurious Extreme Comfort Mask is a bath of comfort that instantly soothes and intensely nourishes the skin. Apply a generous layer of mask to face and neck 1-2 times per week. After 10 minutes, remove excess product with a cotton pad as needed. Do not rinse. WATER (AQUA). MINERAL OIL (PARAFFINUM LIQUIDUM). BUTYLENE GLYCOL. CAPRYLIC/CAPRIC TRIGLYCERIDE. CYCLOMETHICONE. ETHYLHEXYL PALMITATE. PEG-12. SUCROSE DISTEARATE. SUCROSE STEARATE. TRIETHANOLAMINE. CYCLOHEXASILOXANE. ALPHA-ISOMETHYLIONONE. ARGANIA SPINOSA KERNEL OIL. BENZOIC ACID. BENZYL SALICYLATE. BETA-CAROTENE. BETA-SITOSTEROL. BUTYLPARABEN. BUTYLPHENYL METHYLPROPIONAL. CALENDULA OFFICINALIS FLOWER EXTRACT. CARBOMER. CITRONELLOL. DISODIUM EDTA. ETHYLPARABEN. FRAGRANCE (PARFUM). HEXYL CINNAMAL. HYDROLYZED VEGETABLE PROTEIN. ISOBUTYLPARABEN. LIMONENE. LINALOOL. METHYLPARABEN. PCA. PHENOXYETHANOL. PROPYLPARABEN. SODIUM ACETATE. TOCOPHEROL. TOCOPHERYL ACETATE. TRITICUM VULGARE (WHEAT) PROTEIN (TRITICUM VULGARE SEED EXTRACT). YELLOW 5 (CI 19140).